This morning Joe and I were the guest speakers at the Crome Wine Circle. 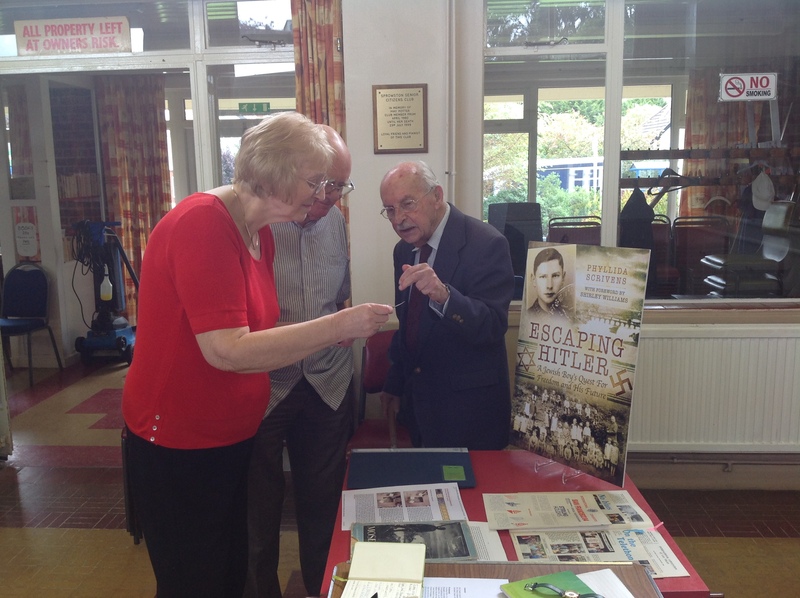 We spoke to about twenty members who were most attentive and totally in awe of Joe who told them about his life in Nazi Germany and how he managed to get out, unlike so many other German Jews. I took over half way and detailed a few of my research techniques and how I wove the results together to make a narrative whole. I took along my brand new promotional board stand with the finalised front cover – this is the first time I have displayed this, either at talks or on this blog. I am very pleased with it. And on my return home I found that my lovely editor has sent through the final draft, from which I will devise the index. What with that and me completing the lengthy and in-depth marketing sheet for Pen and Sword Marketing Department, it has been a busy week. 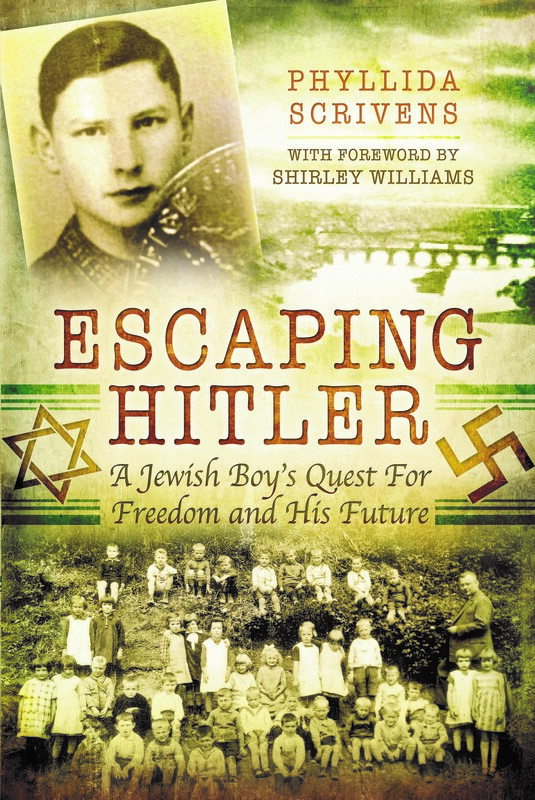 Closer and closer to January…… please take a look at my Facebook page Escaping Hitler and please press ‘like’ for the whole page. This way you will be kept updated on publication dates, signings, special offers etc….. I took 5 orders at the Wine Circle! 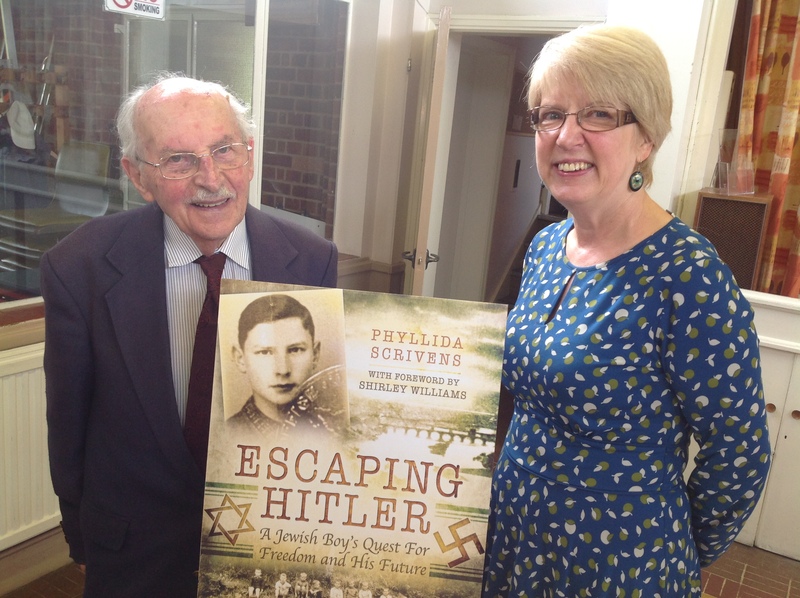 « ESCAPING HITLER TRAVELS TO FRANKFURT BOOK FAIR!